I received a style award from Tereza Anton (Drastic Plastic), thanks a lot!! The rules of this award is to answer the 10 questions and give this award to 10 blogs. So here are the 10 questions and my answers..
Firstly I love looking up stuff on the internet, and this blog is what I love from the internet.. Most of my stuff here is what I read and love from style.com and other great sites, and my blog is more of a compilation of all of these wonderful things together! 2. What types of blogs do yo follow? Whatever shows up on Google!! Mainly fashion of course..
3. What's your favorite makeup brand? I'm not a brand person at all, of course since I cant really afford to be!! My country only has Zara (still waiting for H&M here) and even the Zara is kind of over priced and the clothes do not suit my country's weather! Then there is Mango and FCUK and so may others, but I never liked them as much..I love street shopping however. And when I was in Milan my favorite brands were H&M, Bershka, Tally Weijl and Nadine. 6. What makeup items you can't live without? Well I can live without it. BIG SHOCK! But I would say lipstick or gloss like once a week maybe, or even less.. Lol! Dolce and Gabanna's Light Blue is my ultimate favorite and my very special perfume.. I use Chanel's Chance for other occasion and I use Benetton's Pink Paradise for daily wear.. And if you compare all three, they all smell very similar! So I smell the same always, but within different price ranges! Anything.. I could watch the most crappiest movie and like it too! But I'l say anything horror or even a chick flick..
9. Which countries would you like to travel to? no.1 Italy (I am just obsessed with Italy and I want to comb through the entire country!) and also maybe some other nice European places like Germany, France, Sweden, Spain, etc.. And the US too..
10. Best thing that happened to you? Cant really say.. I have so many memories of really great things and not so good things and it would be unfair to my other very good memories to 'crown' one as the best! But still one really good one was when my sister and myself met Steven Tyler from Aerosmith after a concert in India at a hotel. He was really sweet, and we are such huge fans! Another might be the time in Milan when I found out my favorite band ever, Green Day was playing and I found out just a day before! I was frantic to get a ticket, and I called over 50 numbers all who said it was too late to send me a ticket, and when I offered to pick it up myself I heard things like 'We're in Paris/Germany/Rome)!!' But I went there to the venue and luckily enough someone sold me a ticket! 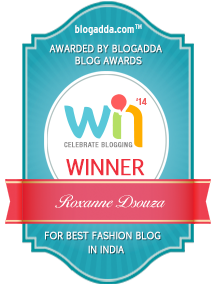 And now here are the 10 blogs I give the style award to in no particular order! Congrats to all of you pretty things and your pretty blogs!! 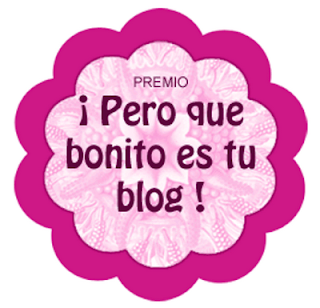 The winners have to do this: COPY the PINK LOGO from my page, the 10 questions and award 10 blogs that you like. thank you so much darling!!!!!! you are very sweet. =) i appreciate it! Hey dearie, thanks for the award! Feels good to know that someone actually looks at all the crap I post on my site lol. Appreciate it mucho!